Like us, you are passionate about cars. You have a natural gift for human relations and service, you like to meet people, and at all times show a concern for the customer's well-being. 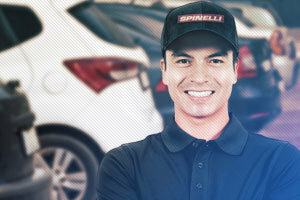 As part of the SPINELLI GROUP team, you will be responsible for moving new vehicles in the showroom and our customers' vehicles in the service area and the parking lot, as required. You must be a good driver, exercise caution and take constant care to keep each vehicle perfectly flawless. You will also be responsible for keeping the yard and new vehicles clean, and will move vehicles as needed. You will wear the Spinelli uniform as part of your duties. Remuneration consistent with industry standards. A very good benefits package. Excellent knowledge of manual driving. An innate talent for customer service and a passion for service. Great versatility and ability to perform several tasks simultaneously. Does this challenge interest you? Please send your resumé without delay to the Human Resources service at rh@spinelli.com.